Not many people can say they have held a World Record. Tegla Loroupe, the renowned long-distance track and road runner, belongs to this exclusive club. She was the first African woman to hold the marathon World Record between 1998 and 2001. And she still holds the world records for 25 and 30 kilometres. 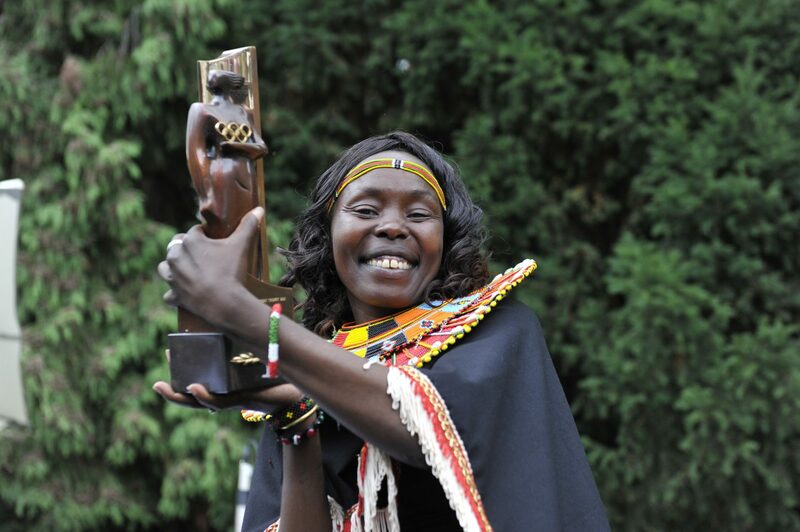 Since hanging up her running shoes, Loroupe founded the Tegla Loroupe Peace Foundation (TLPF) helping – especially – build peace among communities plagued by cattle rustling in her native Kenya, in Uganda and in Sudan. She’s a United Nations Ambassador of Sport and at the Rio Olympics helped prepare and present the first-ever refugee team to compete at the games. Justice Hub: What does it mean to work with sports for peace? Tegla Loroupe: Everyone would love to come and watch sports but not many people trust politicians. Thus we can use sports to change the minds of people. Sports is a place where you will have the opportunity to talk to your opponent. 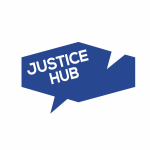 Justice Hub: Who have you been working with? Tegla Loroupe: I come from a border region myself where there is often tension between the neighbouring communities. I worked with the refugees at Kakuma refugee camp [in north-western Kenya]. Later I was sent as an athlete ambassador to Darfur. There I was able to meet with women and kids. You could see the agony they had. They wanted to do something to make sure that they have peace, that their men and also other people that come from outside will understand that they need peace. That they are only fighting because of resources. Rio de Janeiro – Brazil, 2nd Aug 2016: IOC President, Thomas Bach and Refugee Olympic Team Chef De Mission Tegla Loroupe. Justice Hub: How do you think sports will help you get the world you want? Using sports is a way of attracting the bigger community. I’ll give you one example from the Olympics. How many people have tried to bring the leaders of South Korea and North Korea together? It never happened during the normal political ways but sports opened the pathway. Justice Hub: What would you like more of in the world in order to make it a better place? Tegla Loroupe: More love and unity. Because when you have a love for humanity you’ll just forget your greedy ways of acquiring resources from other countries, and when you have that love that’s something that I would love to see in the future that we have what we call love for humans. Justice Hub: What would like to see less of? Tegla Loroupe: I want to see less greed, it’s all about pride and greed and who wants to have power. If I could have my way to reduce people to humans and live with less greed and just be normal. Justice Hub: What action would you call for people to have in order to make a more peaceful world? Tegla Loroupe: To talk to those who are responsible for causing problems and forgive them, because putting people into prison does not solve any issues. It makes more enmity. If we can bring them to understand that it’s only God who can punish people but let’s forgive what we have done wrong and live as a family. The heart of forgiveness is what I would like to see people have. Justice Hub: Is there anything from your experience as a sportswoman that you would say gave you this insight into changing the world? Tegla Loroupe: As an athlete, I learned to lose and win. That gave me a lot of confidence in that when I lose I don’t have to kill my opponent. I take heart and learn why this person was able to be better than me. Learning to lose and accept, and from there you become a better person. Today you see politicians who are willing to kill other people to get a position. Then you are not a winner nor a leader. Because you don’t have somebody to compete with tomorrow. Justice Hub: Tell me about the 2016 Olympic refugee team. Tegla Loroupe: I was training refugees myself, but I was not able to take them out of the country. But the International Olympic Committee (IOC) knew the work, and that I was already supporting other people from disadvantaged backgrounds due to the conflicts. When Thomas Bach became the IOC President he went to the UN and said he wants to include the persons with refugee status to be part of the Olympics. Who wants to see refugees competing? In our society today we think that people who have that status are not good people. As a sportsperson, I see a normal person in them. I was asked by Thomas Bach to look for the good athletes. My government gave me the opportunity to work together with UNHCR and select a few of the athletes to come out of the camp to a better condition. It took almost a year to be at least good enough. 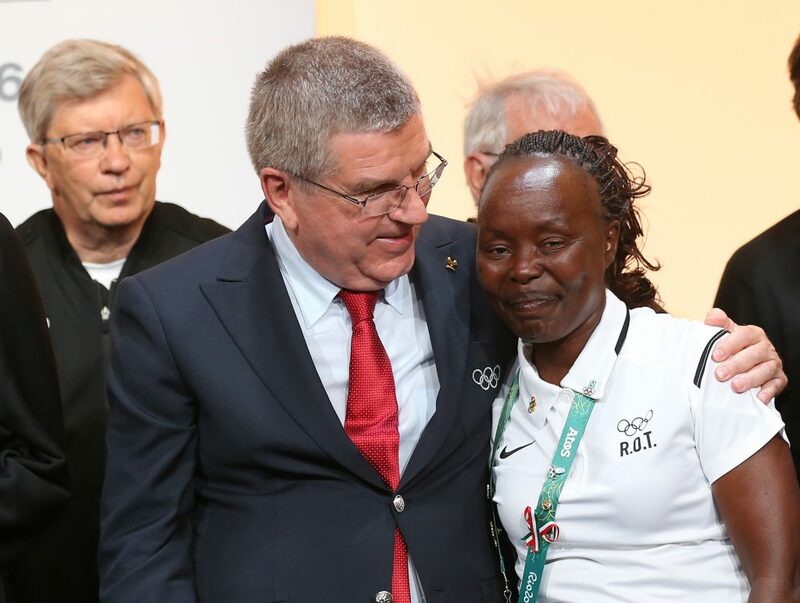 It was not easy but it opened doors for them and I was given the opportunity as the chef de mission, the mother of the 10 refugees athletes representing 66 million refugees in the world. Justice Hub: What does justice mean to you? Tegla Loroupe: For me when you talk about justice it means to give everybody freedom so that the less fortunate people can be heard when they have problems. You have somebody to stand for them and hear the problems that they have. Some people suffer because of injustice because they don’t have a voice. But human beings need to be given justice to be heard. So that it is not only those people who have power who get justice but any human being that has had a wrong done against them.